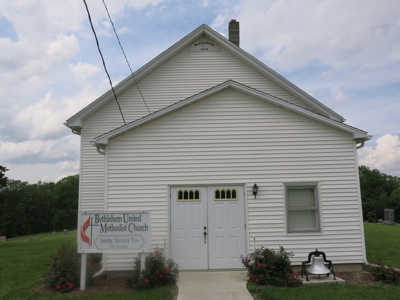 We went from there to the Bethel Methodist Church where we used to attend. Our old friends the Longs and DeSpains are buried here along with a good many others. 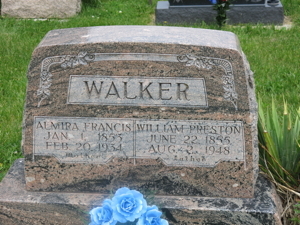 We took pictures of the church and the graves of William Preston Walker and Almira Francis Walker, because I thought I knew who they were. Now, I'm not so sure. We then drove on to Macon and saw the old Insane Asylum where Tommy Stasey worked in the early 1950s. 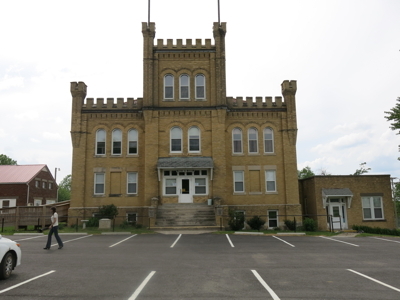 This is the place Aunt Donna identified as, originally, the Blees Academy and later, the mental hospital. 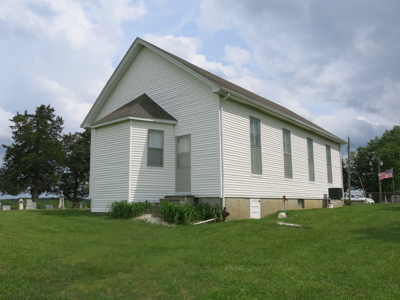 I’d never heard about the previous life of the building, before Grandpa Stasey worked there. It now seems to be a rehab clinic/housing complex, and is called an apartment building on the sign. 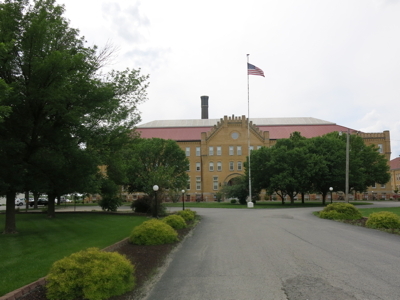 Next door to the old Academy/Mental Hospital, is the academy’s gymnasium where the Historical Society now has its museum. The museum closed.